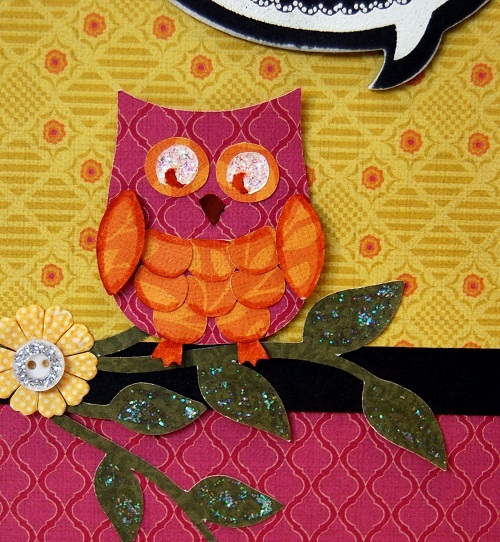 The owl image on the new CTMH Artiste Cartridge is a little cutie patootie! I cut this one fairly small at just 1.75" for this card but how fabulous would he be cut at 12" for a wall decoration at Halloween? 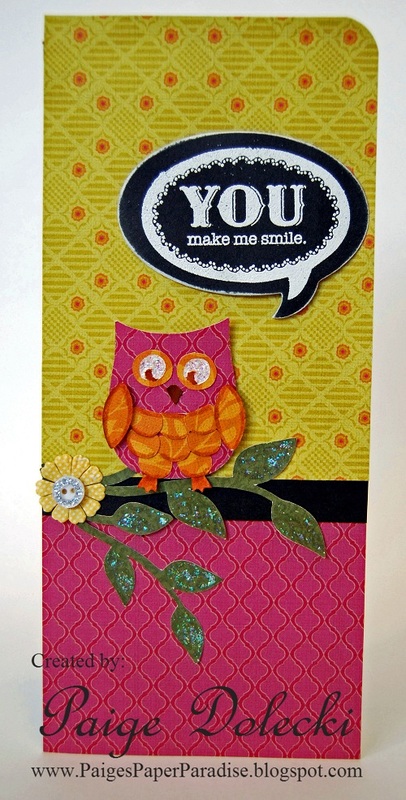 This paper is part of the new Flirty collection - love the mod colors and awesome patterns. I used a marker to outline his feathers and add a bit of definition to his beak and feet. I also used a white gel pen on the insides of his eyes and then a splash of Stardust Glitter Gel to make them pop even more. 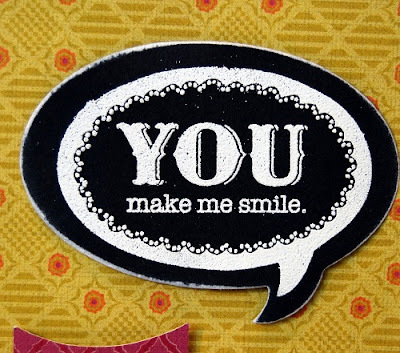 This bubble sentiment comes from one of the stamp sets that is included with the Artiste bundle. There is a whole set of fun sayings with coordinating bubbles that can be cut on the Cricut. Too awesome! Just one more day until YOU can order the new CTMH Artiste Cartridge as well as all the fun and fabulous papers, stamps, accessories and home decor items from the new Idea Book! I'll be back on Wednesday with some announcements for upcoming specials including a double D size set that will be a mid-August special! Very cute owl. Really like how you have him sitting on the branch. And the bright colors are so cheerful. I like your blog so much and just felt compelled to share it with others. Please head to my blog. I have something for you. Blessings, Brenda F.